Oil prices rose on Thursday to their highest since late 2014 as the United States crude inventories declined after sources told the media that top exporter, Saudi Arabia is seeking to push oil prices higher. Brent crude oil futures rallied as high as 74.44 dollars a barrel, the strongest since Nov. 27, 2014, the day that OPEC decided to pump as much as it could to defend market share. Brent futures were at 74.35 dollars per barrel at 0823 GMT, up 87 cents from their last close. 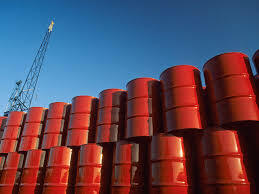 U.S. West Texas Intermediate (WTI) crude futures rose 71 cents to 69.18 dollars a barrel. WTI had earlier hit 69.27 dollars, its best level since Dec. 2, 2014. “Oil prices continued to climb on Thursday as a decline in U.S. crude inventories and commentary from Saudi Arabia that it will be happy to see crude rise to 80 dollars or even 100 dollars helped boost prices,” RBC said in a note. The Organisation of the Petroleum Exporting Countries (OPEC) and other major producers including Russia started to withhold output in 2017 to rein in oversupply that had depressed prices since 2014. Further supporting oil prices is an expectation that the U. S. will re-introduce sanctions against Iran, OPEC’s third-largest producer, which can result in further supply reductions from the Middle East.